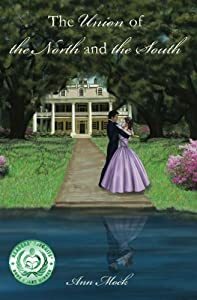 Thane Jordan reluctantly travels to England to settle his brother’s estate only to find he’s inherited much more than he could possibly have imagined. Lady Jemma Bryan has no desire to spend a single minute in Thane Jordan’s insufferable presence much less live under the same roof with the handsome, arrogant American. 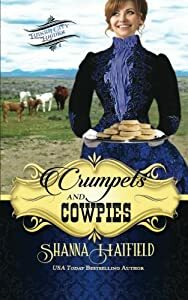 Forced to choose between poverty or marriage to the man, she travels across an ocean and America to reach his ranch in Oregon. Shadowed by majestic oaks on the banks of the Mississippi River, Oak Grove, the ancestral home of the Malcolm family, symbolizes their courage, resilience, and strength. The reader will fall in love with the intriguing story of Laura who overcomes personal tragedy, and is forced to hide a secret that, if revealed, will cause her great heartache. Amidst the revitalized social scene of a recovering South, Laura has to sacrifice one of her most precious desires in order to protect someone she loves above all else. Can Laura make her enemies become allies as she confronts her secret and finds the strength to forgive as well as to love again? 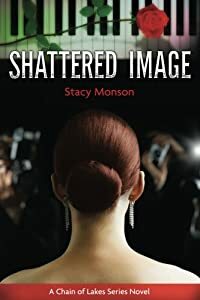 Shattered Image, the debut novel from Stacy Monson, is a new addition to the distinguished contemporary Christian fiction tradition of Karen Kingsbury, Francine Rivers, Becky Wade, and Carla Laureano. 2015 Readers Favorite Gold Medal Winner! Love. Trust. Acting. Actress Liana Marie struggles with trust and commitment as she shapes the role she plays in her own life. Young adult & college readers interested in celebrity life will see the struggles actors face behind the scenes as they keep their pain private. We are all flies and spiders in a web of stories. If I live a more authentic life, can love prevail despite my many faults? Can truth alter Hollywood's web? Facing who you truly are and what meaning your life has is never easy, but it is even more difficult when you're an actress. 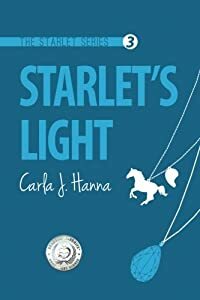 Truth and lies get woven together in Starlet's Light by Carla J. Hanna and sorting them out is a painful experience for cancer survivor and actress Liana Marie. Dishonesty and mistrust on the silver screen are multiplied in Liana's life as she struggles to decide who and what to trust. While shooting in England, Liana decides to set Manuel free, realizing that he has a chance for a normal, happy life without her, though she can't get him out of her mind. 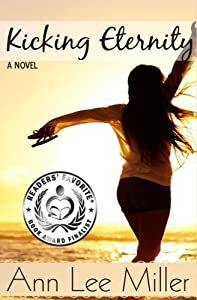 With an understanding of how her past has affected her future, thanks to her father, she begins to move forward in a whole new light, haunted by the decision to let Manuel go. Spending her weekends in the hospital, rather than out having fun with her friends and doing what normal people do on weekends, begins to take its toll and she begins to see through some of the drama in her life. Will love, trust, and commitment find her? Will she continue to be swept up in the lies that surround her? Starlet's Light takes a deeper look into the things that are manufactured not only for a Hollywood movie, but those that are manufactured in our lives. Carla J. Hanna does an excellent job of showing how a person navigates the paths of their falsehoods in an attempt to justify them, but always seems to come up short. The depth of thought and emotion becomes all too real for the reader and keeps them hooked as Carla unravels the story. Deep, emotional and thought provoking, Starlet's Light will have you examining where the paths of your own life are leading you. 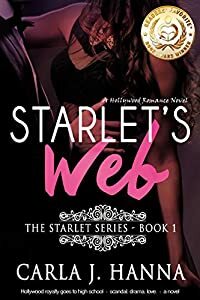 Discover the 2014 Readers' Favorite Gold Medal young adult book winner Starlet’s Web and uncover the life of a talented actress caught in Hollywood's web of lies. Fans of clean romance, realistic fiction, and celebrity memoirs will see inside the lives of children of celebrities and the contradictions inherent in pursuing the dream to be a star. Love. Lies. Acting. Teen Santa Monica GETS REAL. Gorgeous and talented actress, Liana Marie Michael, plays the Hollywood publicity game but is in love with humble half-Latino Manny, her honest and reliable childhood friend. They go to prom and graduate, dealing with hot guys, mean girls, and culture clashes. Mommy Dearest has other plans for her. Anti-aging drugs have side effects. The quest for youthfulness takes its first victims. Can the teens escape Hollywood’s web? Note: contains realistic sexual content but is not a steamy romance. Carla J. Hanna lived in Santa Monica, CA where her children played with the children of celebrities. She mingled with plenty of nannies and a few good celebrity moms. SERIES NOVELS: Starlet's Man, Starlet's Web, Starlet's Run, Starlet's Light. Starlet's End. Jane Grey's life was fine. Fabulous career: check. Faithful friend: check. Serving in the church nursery: check. Lather. Rinse. Repeat. And yet… Jane had promised herself she'd never let life become predictable. Now she finds herself thirty-something, feeling a bit lumpy, lonely and lost. A nagging pit in her stomach tells her she desperately needs a change. Proving He has a sense of humor, the Lord deposits not one, but two handsome suitors into Jane's life-seemingly overnight! Practical Paul Wade, a successful attorney, seems Jane's perfect match… on paper. Meanwhile, pro hockey hunkster Lindy Barrett is clearly out of her league… or is he? To decide, Jane must finally seek out that sweet spot lying somewhere between her head and her heart. Whose woo will win the heart of Jane Grey? God knows, but He's not telling! Sarah's Gift is the first book of Skye Wieland's Dare to Follow trilogy about a group of friends who find God and themselves in the midst of adventure, danger, and amazing vista. Sarah White, an Aussie horse trainer running away from her past, tries to start a new life at a safari business in South Africa. 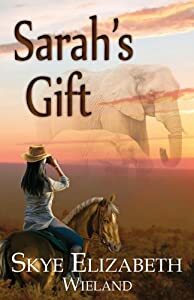 Elephant culling, strange recurring dreams, and a supernatural encounter lead her to discovering an amazing gift she has. Will she use this gift or remain paralyzed by her traumatizing memories? As the celebrated author, 'M---, No Time for Love', Morkel has vowed to never write a love story, or a story with a female protagonist. 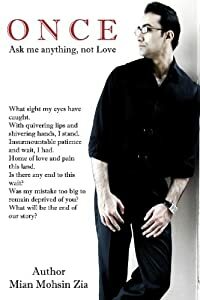 A staunch bachelor, Morkel is set in his ways; he has vowed to never fall in love. However, during a holiday in Kiev Morkel meets a 'person of interest'; someone who will change his life forever. Though, as his name suggests, he still has 'no time for love'.